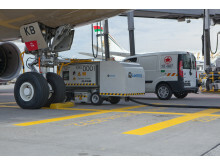 Cavotec has won a multi-million euro package of orders from Japanese industrial conglomerate ShinMaywa, for integrated ground support equipment (GSE) that will be installed at Hanoi’s Noi Bai International Airport and Cairo International Airport. Cavotec’s customer for both projects is Japanese engineering and manufacturing group ShinMaywa Industries, Ltd. The group is an expert supplier of an extensive range of products from aircraft and industrial machinery (which includes environmental solutions) to special purpose vehicles. ShinMaywa Group companies are present in a wide variety of segments across Asia, Europe and North America. Cavotec has a long established relationship with ShinMaywa. In 2007, an order for ground support equipment for Cairo International Airport underlined for ShinMaywa Cavotec’s capacity to take on complicated projects, and to manufacture and supply high quality systems to very exacting standards. “We are delighted to be working with such a respected partner as ShinMaywa; we share similar outlooks on quality, innovation and efficiency, and we look forward to continued cooperation on these and other future projects,” says Ottonel Popesco, Cavotec CEO. In the larger of the projects – at Noi Bai International Airport, the largest airport in northern Vietnam – Cavotec will manufacture and install a comprehensive range of air, electrical power and water supply systems. These include bridge-mounted Pre-conditioned Air (PCA) units, 400Hz Solid State Frequency Converters and Potable Water Systems. Cavotec will also provide customer support for the installation of this project that includes on-site testing, commissioning and testing. 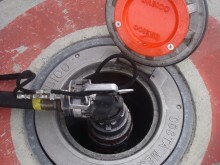 “Cavotec continues to see demand for its innovative GSE in a large number of markets. The need to upgrade existing facilities, and introduce new systems is especially strong in several countries across Asia and the Middle East,” comments Yann Duclot, Cavotec’s Group Manager, Sales & Marketing. Noi Bai is currently undergoing a major development programme to increase annual passenger capacity to some 16 million. It is the largest airport in northern Vietnam and serves a large number of international airlines including Vietnam Airlines, Singapore Airlines, Pacific Airlines, KLM, Air France, Delta Airlines, China Southern, Korean Air, AirAsia, Cathay Pacific, Hong Kong Airlines, China Airlines, and Thai Airways, as well as domestic and freight carriers. In the second of the two deals, Cavotec will also supply 400Hz Solid State Frequency Converters and PCA units. 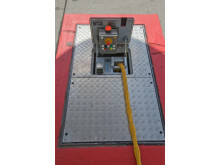 The equipment is for installation on three passenger boarding bridges at Cairo International Airport. The airport is Egypt’s busiest and Africa’s second busiest after OR Tambo International Airport in Johannesburg, South Africa. 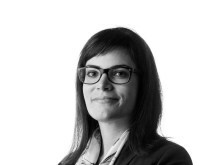 “We have long-standing relationships with our partners at Cairo International Airport and in the Africa, Middle East markets more broadly. These relationships help our customers define their specific needs and the challenges they face, and they support our work in meeting those requirements,” says Juergen Strommer, Managing Director of Cavotec Middle East. 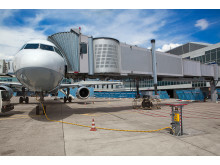 Cavotec is a leading system designer and integrator for the global airports sector, and works in close cooperation with airports, airlines and industry bodies. In addition to 400Hz and PCA units, the Group manufactures a range of integrated GSE including tunnel and pit systems, fuel and wet services, and connectors, tow-bars, caddies and pantographs. 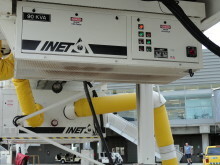 The Group’s Airports market unit is made up of Cavotec Fladung, Cavotec Meyerinck, Cavotec Dabico and Cavotec INET. Between them, these companies have pioneered GSE technologies that are now in use at commercial and other applications all around the world. 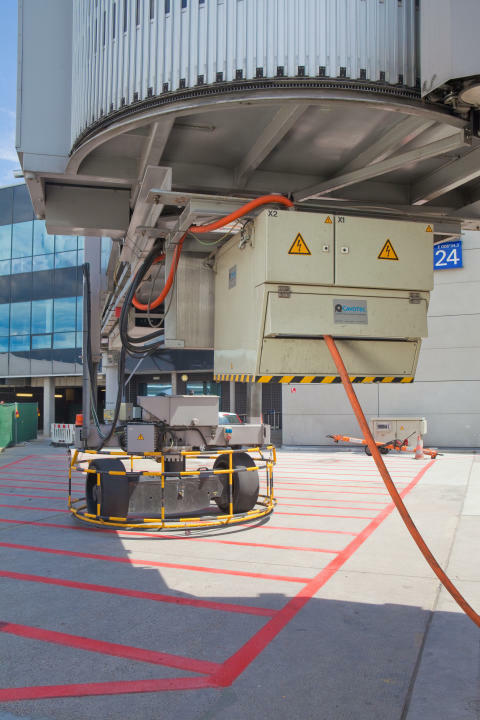 Cavotec’s airports offering was recently further strengthened with the acquisition of Swedish ground support equipment manufacturer, Combibox. 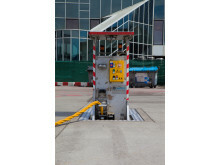 Illustrating the buoyancy of demand for Cavotec's airport equipment in Asia, the Group has won several orders for aircraft fuelling and electrical power systems at Hong Kong Airport. Cavotec Germany recently hosted an open day at its new, state-of-the-art production facility and office space just outside Frankfurt. Our ground support systems are playing their part in Dubai Airport’s newly-opened flagship terminal: the world’s first dedicated to the Airbus A380 superjumbo. 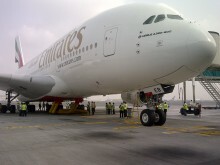 News of our latest GSE project with Emirates at Dubai International Airport, where we are supplying our innovative systems for four new A380 superjumbo maintenance hangars.